If you know friends, coworkers, neighbors or relatives with fireplaces or fire pits, consider fireplace gifts to make those special persons’ fireplace even more enjoyable. 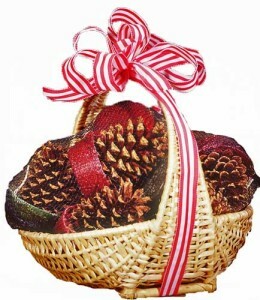 Attractive fireplace gift baskets with fatwood for easy fire starting and pine cones that are treated to give a fire a variety of colors are always a delight. 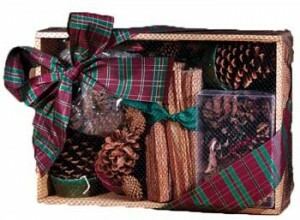 These are modestly priced fireplace gift sets that will give a lot of pleasure. Bellows are a practical fireplace gift one can use to increase oxygen supply when starting or reviving a fire. There are styles that evoke Colonial America and more modern ones as well. 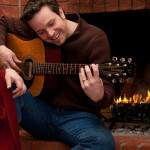 Fireplace gloves allow one to manage hot firewood, to adjust it to get the best result. They also keep hands clean when handling firewood and prevent splinters, and are ideal fireplace gifts for the practical minded gift recipients. 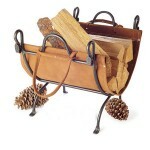 Your friend or relative can keep firewood neat and handy with a log holder. 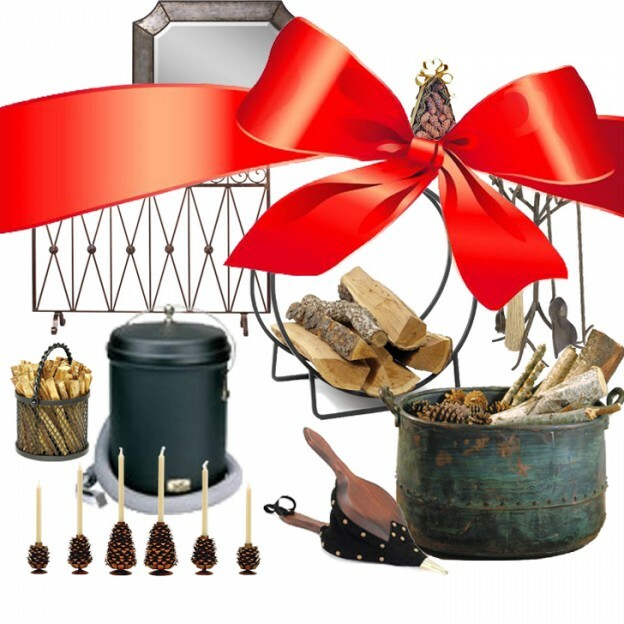 Sneak a peek at his or her fireplace tools or fireplace screen and choose a log holder fireplace gift that matches these other fireplace accessories. What do you give the person who has everything? Why a blowpoke, of course! These handy tools allow one to blow on embers to start or re-kindle a flame without crouching down to the fireplace. They’re especially handy for use with fire pits, where the fire may be below ground level. Fireplace candelabra are used when fires are not in season. 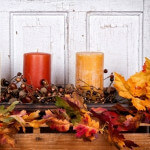 These charming fireplace gifts brighten empty fireplaces. 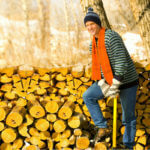 Firewood racks make great fireplace gifts in early spring, the ideal time to buy firewood for the coming fall. 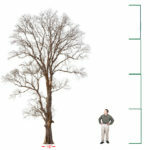 They come in sizes from two to sixteen feet long, holding up to a full cord of wood. 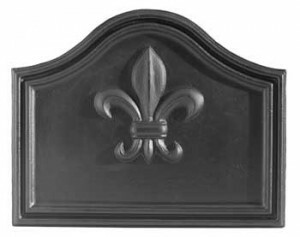 A mantel mirror designed for the space above the fireplace brightens the room year round. Don’t leave yourself off your fireplace gift list. The items we’ve talked about will look great in your home, as well. 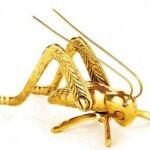 Wouldn’t you like to have a lucky brass hearth cricket or a cast iron fireback to keep your room warm after the fireplace goes out? Don’t wait, do something nice for yourself!